The top 24 golfers at the end of the regular season (first 8 rounds) will compete in a single-elimination championship tournament. The final four of that tournament will go head-to-head for 18 holes at the season-closing event. 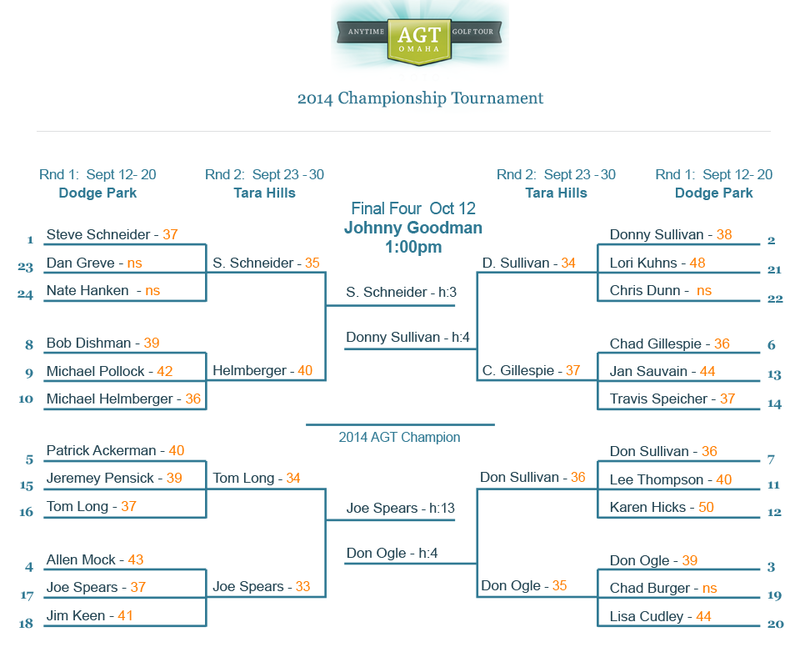 The winner of that round will be crowned AGT champion.